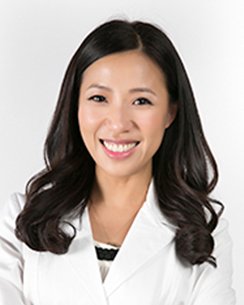 Dr. Audrey Yoon is a dual trained sleep orthodontist and pediatric dentist. She completed her orthodontic, pediatric and craniofacial training at the University of California, Los Angeles (UCLA), the nation’s pre-eminent program of its type. She obtained a Master of Science degree in Oral Biology with honors, completing extensive research in obstructive sleep apnea. Due to her expertise and high accolades, she was invited to join UCLA faculty. Dr. Yoon is a collaborative team member at Stanford Medical Center in the sleep apnea research. She has worked with Dr. Christian Guilleminault and Dr. Stanley Liu on a pioneering technique, performing maxillary distraction osteogenesis in adults for the treatment of obstructive sleep apnea (OSA). Dr. Yoon also has developed a surgery-first orthodontic protocol for Maxillomandibular Advancement Surgery. She is also an expert on the customized oral appliance/distractor device design. Active areas include craniofacial growth modification, frenulum inspection and myofunctional therapy.